Only 3 weeks until Battle of the Border and training is intensifying. The boys from Cobra9 are excited about the adrenaline rush that comes with three days of racing. My goal is to spend more time in the bunch rather then the grupetto. The way the legs felt this morning – unlikely! The new kit arrives soon. Can’t wait to at least look the part. All who have ordered will be contacted as soon as it arrives. 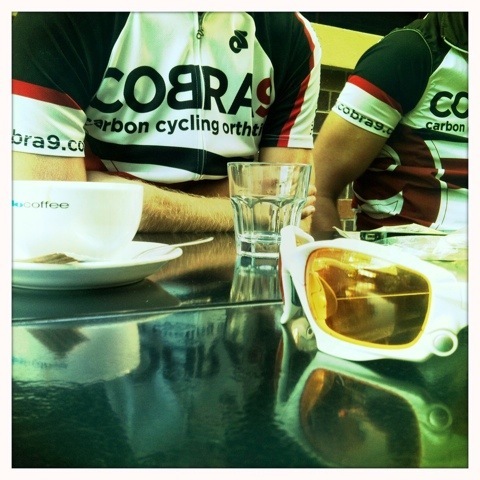 Thank god for post ride coffee to keep the enthusiasm up!